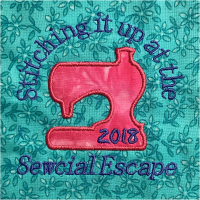 The class that I taught at the Sewcial Escape last week focussed on using Embrilliance Essentials to create cut files that can be used for applique and more. As a recap for those that took the class and anyone else interested, I have created a couple videos on what we did in class as well as provided a few links to those things that I referred to that makes my life much easier. 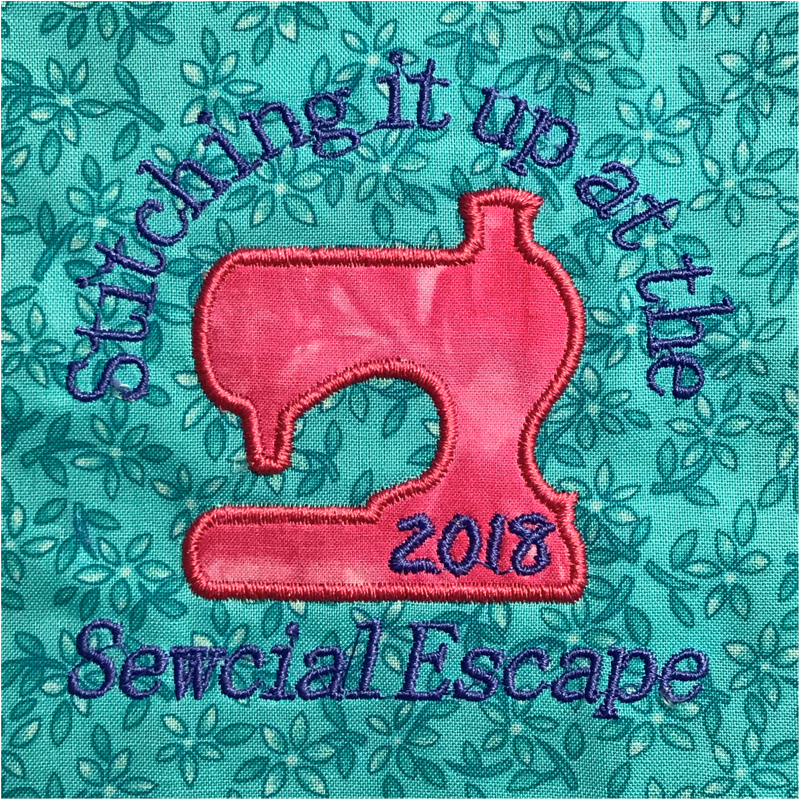 Be sure to download the classnotes from my applique class for even more information. The first part of the class we talked about creating the cut file, and adding the different types of lettering objects to the design. I normally do NOT inflate my cut file shapes when I send them to the cutting machine. 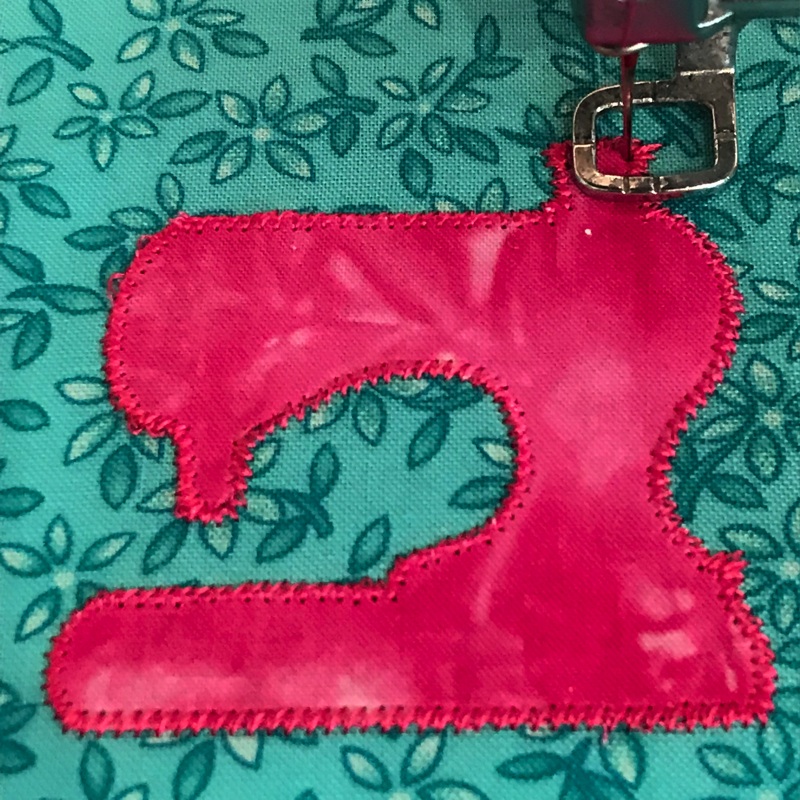 This is because the cutting line is RIGHT SMACK DAB in the center of the satin finishing stitch OR because I am using a decorative finishing stitch and you don’t want extra fabric hanging out. If you are creating cut files for HTV, you don’t want them to be bigger than your shape either. Here is a video showing the software portion of creating the cut files. 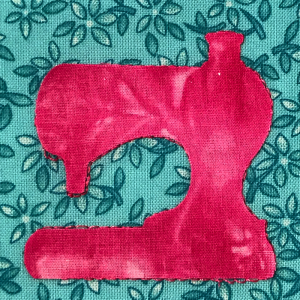 I then remove the hoop from the machine and place the cut applique exactly inside the stitched placement line. 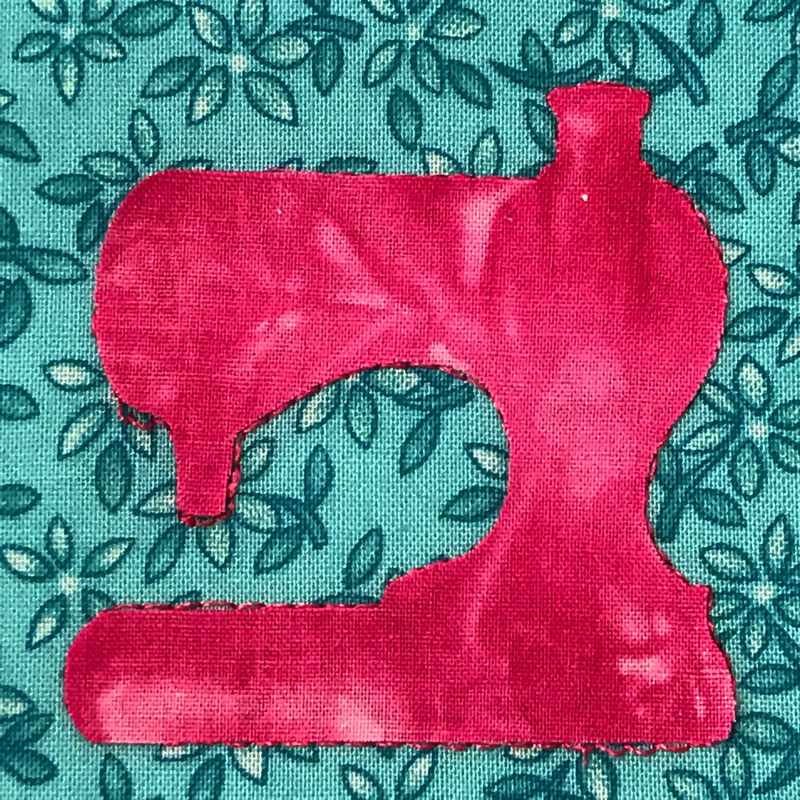 Using a small iron – I use a Clover Wedge – I fuse the precut shape DEAD ON BALLS inside the stitched line. I do not use steam at this time – I do not steam my applique per the Thermoweb instructiions until all stitching has been complete and the item is out of the hoop. You need to be very accurate at this step – the first fuse will hold this fabric in place. 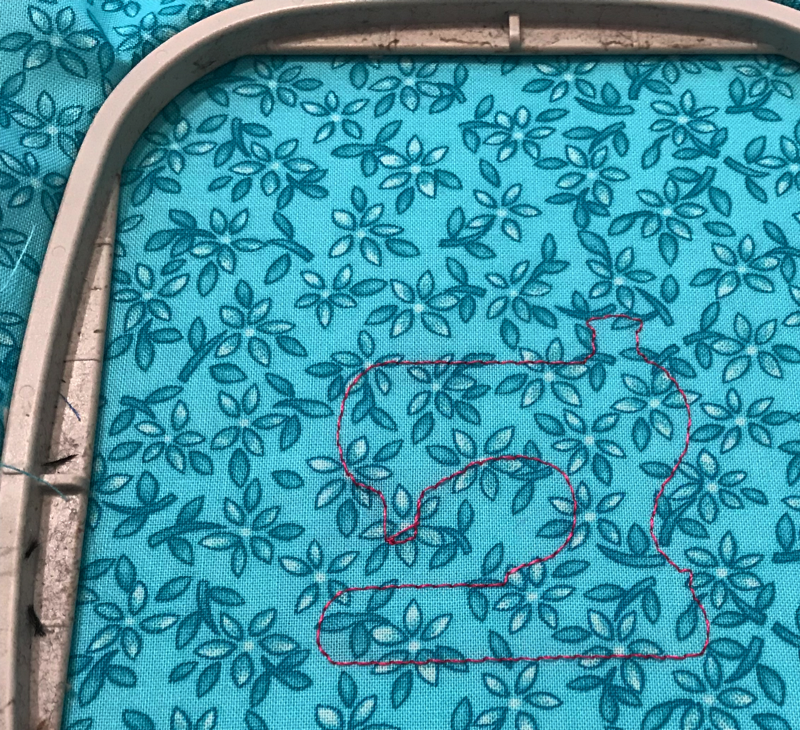 I return the hoop back to the machine and begin stitching the finishing stitch (no tackdown is needed because the cut applique is fused to the fabric in the hoop). I like that the underlay of the finishing stitch catches all the edge of the applique before it stitches the actual finishing stitch. 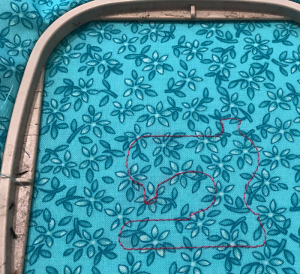 Once the applique has finished embroidering, the next color is the lettering. I remove the hoop, trim any jumps, use my Kai 5135P scissors to trim the stabilizer from the backside and the design is complete. Remember that you can use the coupon code of SHAW on the Kai Scissors website for an additional discount. Also in class, for those that have a Silhouette, I talked about the 3rd party blade that you can get called a CB09. There are LOTS of videos on youtube that explain how to install and use this blade. The nice thing about it is, is that I set it up once before I started cutting my fabric and did not have to make any adjustments to the blade once I did so. I’m still cutting away with this blade – mostly fabric because that is what I do – and it is working as well as Gayle told me it would. Gayle is my Silhouette cutting machine gizmo expert – so I trusted her when she said use this blade and I’m sold! Here is a direct link to the cartridge and blades from her website. My next mission is to get her to create a couple of videos and linking them to this page showing how to set it up. In class you also got the copper sticker version of the sewing machine with transfer medium. Here is a video showing how easy it is to “weed” it and put it onto something as a decoration. The tools I use are the Weed N Pick set from Crystal Eye Candy. Most like the tweezers – I like the pink picker and here is the link to that tool. Be sure to subscribe to my youtube channel while you are watching the videos – that way you will be notified when new ones are posted! WHOOPS! I almost forgot to include the zipped files with the designs and such! Click here to download the zipped file that contains the files. Remember that the BE file is the Embrilliance working file – this means that you can open it into Embrilliance – including Embrilliance Express – and save to your format!